14ky yellow gold pansy floral earring with 2 claw-set round briliant cut diamonds, est. 0.04ct. (clarity: VS & colour: G-H). 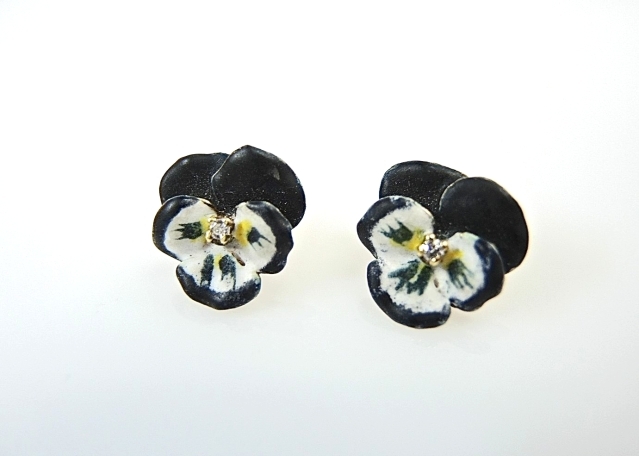 The earrings are enameled in black, white, green and slight yellow colours.